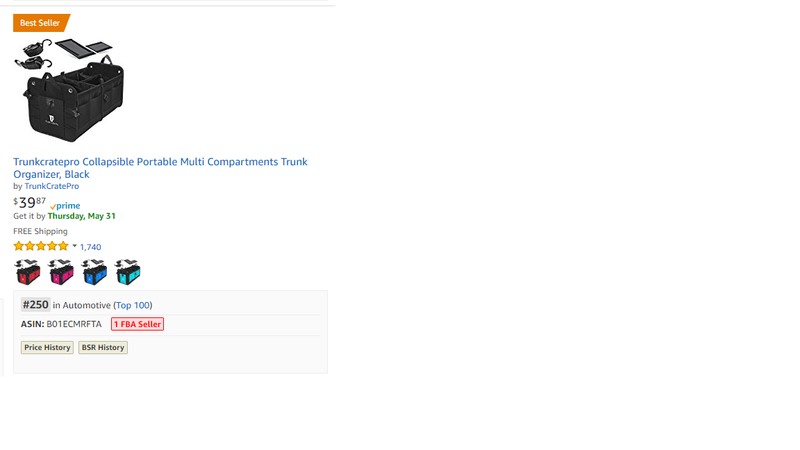 Our new version of TrunkCratePro Quality Trunk Organizer from LeClassiqueShop helps solve a great many of them and its impressive design has quickly made it a best-seller on amazon. No one who owns a truck wants to go shopping or be on their way to somewhere important and have everything they have put in the back of their truck flying around all over the place. Unfortunately, without the right trunk organizer or auto trunk storage box, this is exactly what often happens. Many companies have tried to sort out this issue, but with limited success. 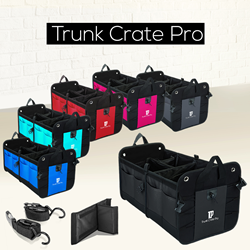 The great news is LeClassiqueShop has put the time, research, and testing into their TrunkCratePro to firmly put them at the head of the pack in both quality and in its diverse features, based on both sales and passionate customer feedback. TrunkCratePro is crafted to be super tough and durable to be sure to take any likely bumps, jolts, jarring or scratching while in the back of a truck or other automobile. The material is eco-friendly Oxford polyester, considered by professionals to be a high-quality, first-class choice. It is also water resistance for unexpected rain or other similar occurrences. The inside of the trunk organizer certainly helps make it shine among trunk accessories, with multiple pockets, up to four compartments depending on the user's need, and two removable/adjustable slider dividers to further keep whatever is being transported stored in an orderly way. Installing TrunkCratePro can be done by quite literally anyone and only takes a minute. It also folds up to a fraction of its size when not in use, making it a space saver in more ways than one. LeClassiqueShop is happy to make available a number of other trunk accessories that can complement the TrunkCratePro, including additional straps and replacement or additional dividers for deeper customization, something not available from any of their competitors. All sales of TrunkCratePro come backed by a 100% lifetime no-hassle guarantee. Reviews for the trunk organizer consistently continue to point to it as the best on the market. For more information be sure to visit http://trunk-organizer.com.